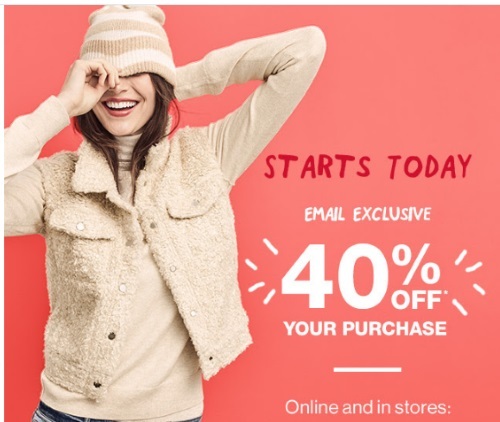 Gap is offering 40% off your entire purchase right now! This offer is available with the promo code below! Enter the promo code GAPPERK at checkout. Offer is valid December 7-8, 2016.